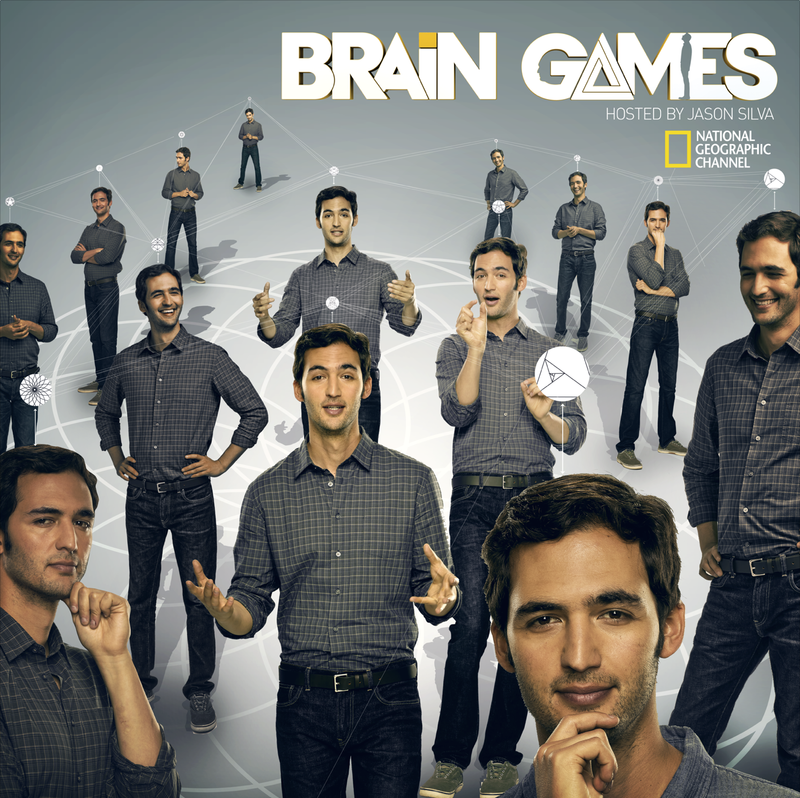 For this post, I want to re-explore the importance of still photography used in TV campaigns, this time for our most popular show, “Brain Games.” One of the biggest takeaways in my “Masters in Motion” presentation back in December was about the importance of stills for a TV campaign, and a theme worth revisiting here. No matter what new technologies arise and how mediums change, there will always be big billboards, print ads and posters to promote TV shows. They grab attention, and when you place them in the right location, can send a strong message not only to viewers, but also to ad buyers, executives, and the creative community – which is important when we want those creatives to be pitching their best ideas to us. On a side note, I’d also like to take this time to thank everyone for the continued support, shout-outs, re-tweets, Facebook Page likes, and generally great feedback I’ve gotten on the blog. December was the all-time highest trafficked month for the site! Thank you all for reading, and for sharing the content with others. Photographer Miller Mobley light-tweaking. Photo by Brian Everett. 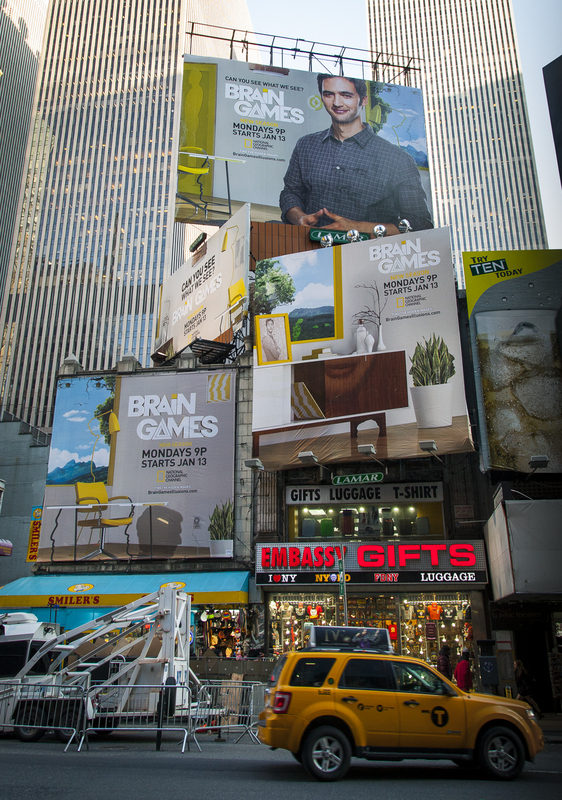 In my last post, I discussed “keeping the client happy” and connected that to the recent campaign for Brain Games. Because that is a big campaign for Nat Geo since it’s our #1 series, I’m dedicating this post to the print and outdoor campaign behind that show’s re-launch in January. Click HERE for the content covering the TV spots – and that will give you an overview of the show and marketing goals as well. But enough about video! Let’s get to the stills. 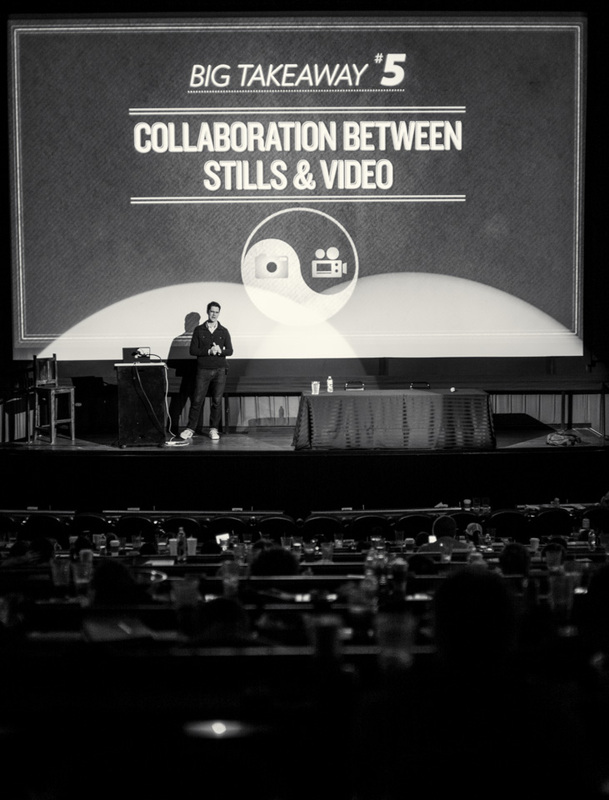 Presenting at Masters in Motion, discussing the importance of collaboration between stills and video. 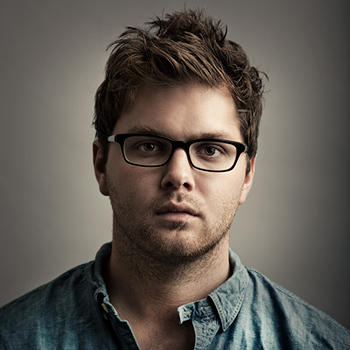 Photo by Philip Bloom. 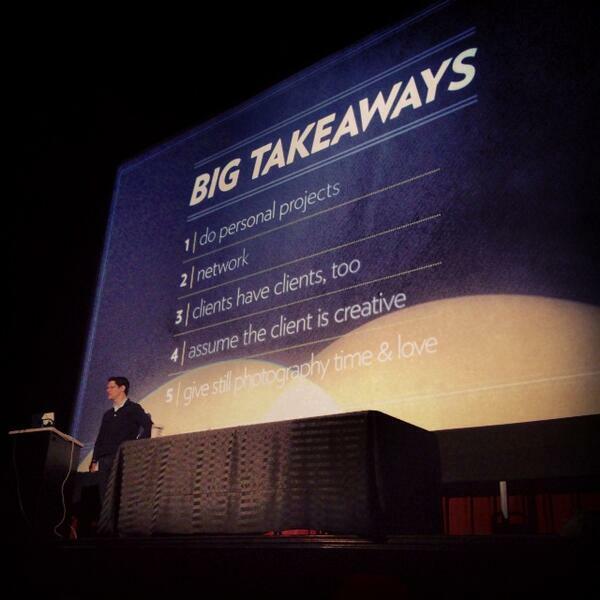 Presenting my 5 big takeaways at Masters in Motion back in December. HOW STILLS AND VIDEO CAN WORK TOGETHER BETTER. 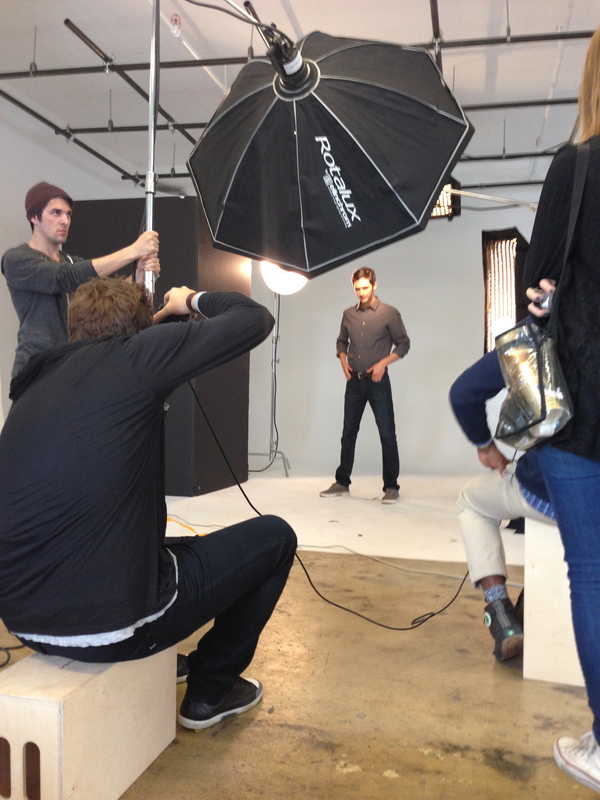 In previous posts, I’ve discussed that it’s critical for print and video teams to collaborate when planning a shoot. In my MIM talk, it was one of my “Big Takeaways” for the filmmakers in attendance, which included 5 critical recommendations for everyone on the video side to consider when it comes to collaborating with still photographers. 1. Partner up with a talented still photographer – it makes your company/agency/you look more diversified to the client if you have an existing relationship with a talented photographer, and can offer their services. Find someone you work well with, develop a similar style/approach, and a client will see you more favorably because you can ‘bundle’ your creative offerings. 2. Understand the goals of the print campaign – it will better help you to anticipate what the client will want, and it’s just good to be aware of the whole campaign, even if it’s doesn’t end up technically being your responsibility. They’re spending big money on the media buy if they have billboards or print ads, so be aware of what they want. 3. Build your schedule with print in mind – don’t assume that they won’t be sharing space and time with you. Make sure you’re clear as to who is producing the print shoot (crafty, props, etc). Understand that it’s a big priority for them, and they will need the appropriate amount of time. 4. Share resources when applicable – lights, stands, even grips. If the client sees that you and the photographer are working together and sharing assets, they’ll feel better about efficiency and cost savings, and then they’ll feel better about hiring you. 5. Co-author the stage setup – if you are sharing locations, collaborating early on in the process may help you make decisions about lighting that could save time and energy. This worked out for us on “Killing Kennedy” and “Killing Lincoln”, having our Photographer and DP and Art Director connected early and often, planning the lighting grid for maximum efficiency and flexibility between crews. 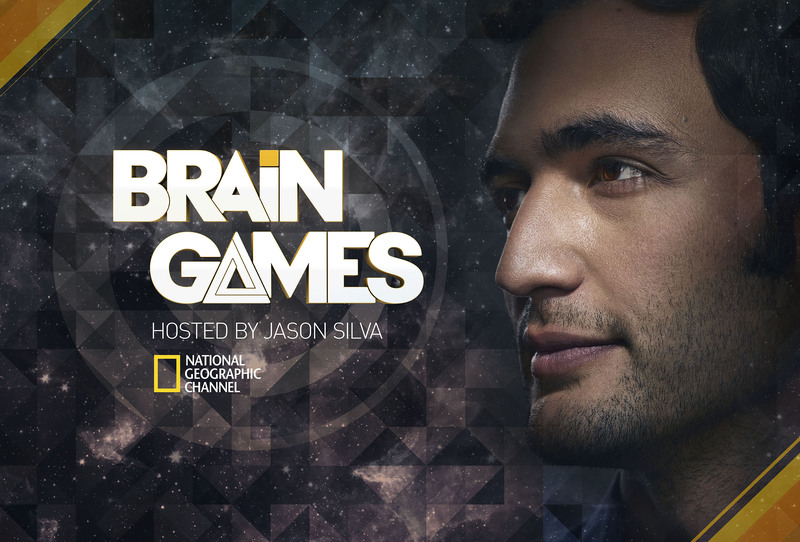 One decision we made on the Brain Games campaign was having the same agency, Brand New School, that was doing the TV promos also do the print campaign. It made for an easier planning process, and ensured consistency across both platforms. Getting a cohesive look across both mediums (and digital) is key – when you are struggling to get the viewer’s attention, you want the look to feel similar so that all of those impressions you make on them (whether in Times Square, at home on TV, or looking at a print ad in the Times) will add up together. 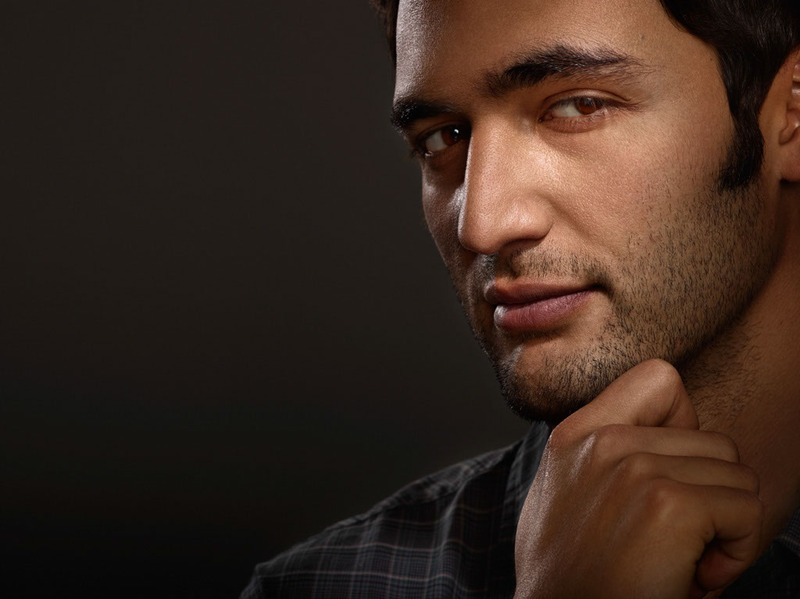 We knew that Jason Silva the show host, was going to play a big role in the key art, so Brand New School suggested a photographer to shoot our print concept. Luckily, the photographer they selected was one that I have wanted to work with before, Miller Mobley. He is an extremely talented photographer that has done some beautiful celebrity portraits, so I knew he could certainly handle the more straightforward style of our key art concept, and also deliver some more artistic shots of Jason for our other creative needs. 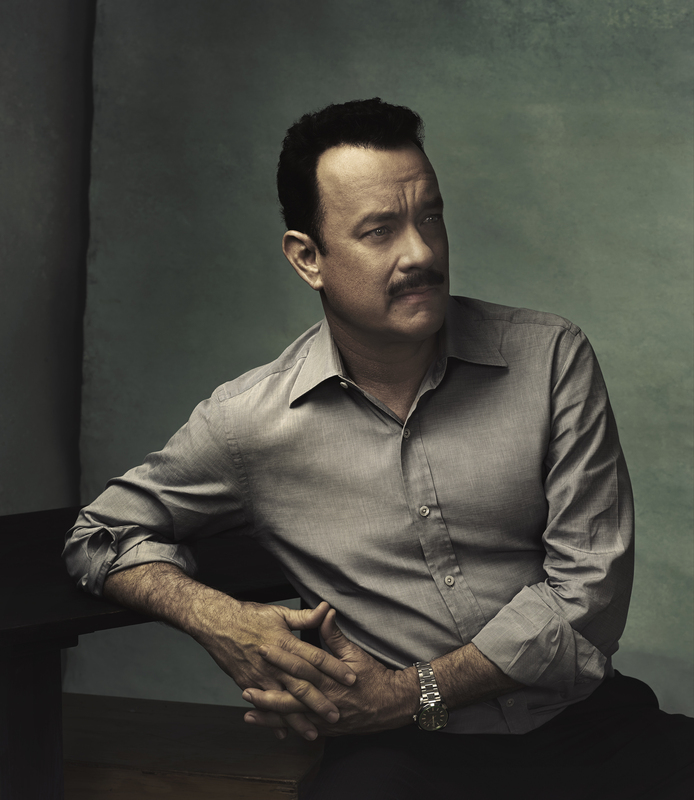 Photo of Tom Hanks by Miller Mobley. Early on as we started to nail down our production schedule, it became clear that we had a decision to make about timing for still photography. We had a very ambitious schedule for video production, shooting multiple complex TV spots, with many variables that could easily swing the days to go long. One option was to try to maximize our time on each day and have Miller come to the video set, and shoot images of Jason during video setups. Basically, as soon as he’d wrap a shot he’d run to Miller and shoot stills. We’ve certainly done that before, but there just seemed to be too much potential of either not having enough time for stills due to the complex nature of the video, and also I didn’t want to risk wearing out the talent. Additionally, we knew going in that we were going to have a big billboard in Times Square, and a big print media plan, so this aspect of our campaign was too important to risk not getting everything we needed. So we decided to add a third day of production, and have that entire day just for stills. It would allow us to focus on print, and would give us time to capture a huge variety of new images of Jason for press, digital, and marketing needs. “One of the other great things about this shoot was that we had plenty of time with our subject and a whole day dedicated to still photography” said Miller. 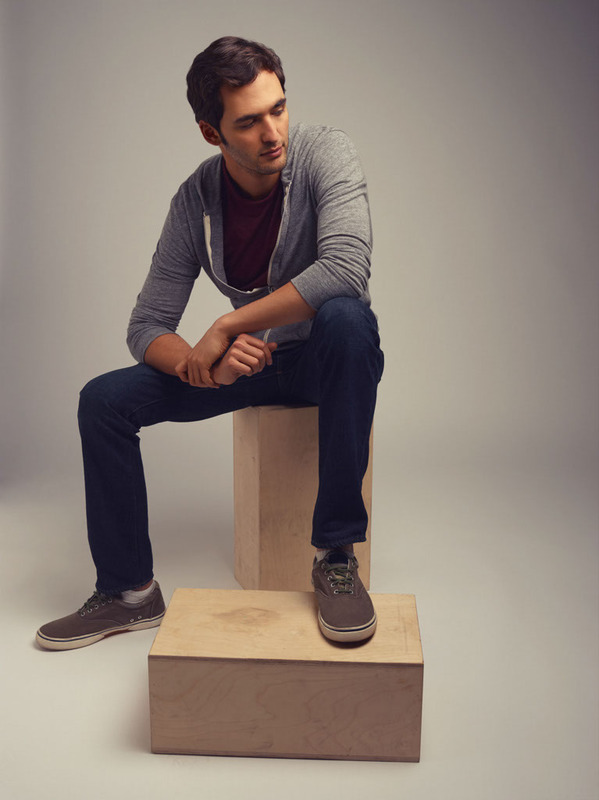 “My shoots usually last anywhere from 15 minutes to an hour. That’s barely enough time to connect with a subject. With all that time, Jason and I pretty much got to be friends and it became more like we were just hanging out creating images, as opposed to just another subject on the other side of my lens, who’s in a hurry. With this time it afforded me the ability to come up with ideas on the spot and try them out.” And that we did. 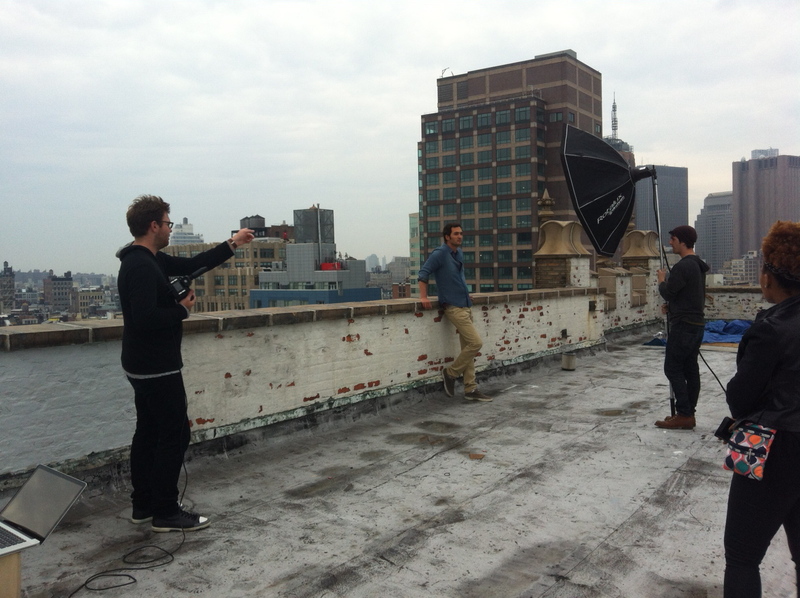 On-set with Jason Silva and Miller Mobley. 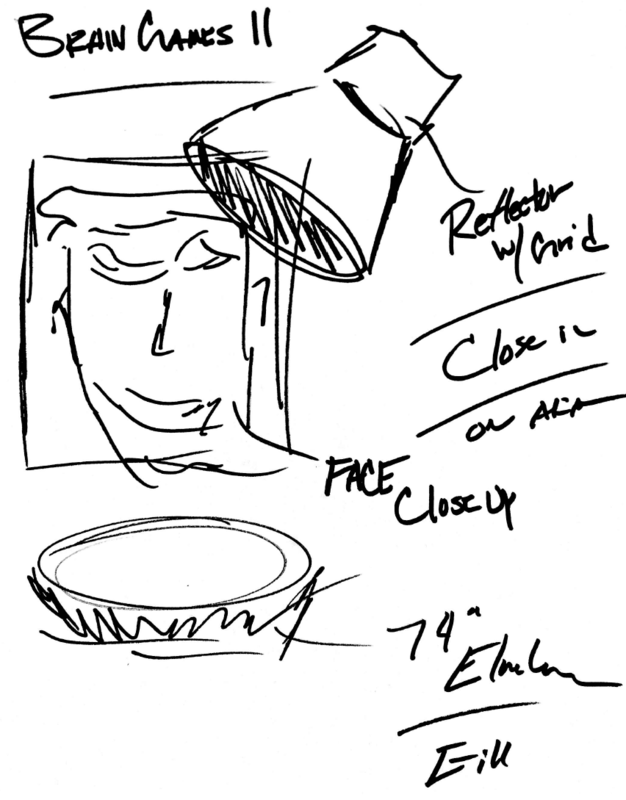 Lighting sketches by Miller Mobley. We shot the stills after two intense days of video production, and one great thing about working with Jason is that no matter what, you’re never going to be low on energy! Jason’s passion is infectious, and even though we’d moved to a very small studio, the energy didn’t disappear, and he worked great with Miller. “Miller was awesome because he made you feel comfortable right away.. Super professional and friendly. 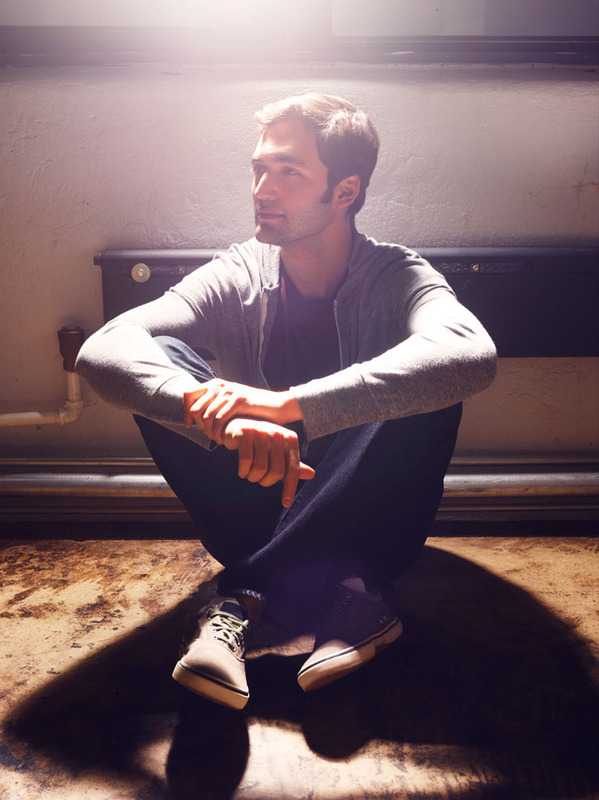 We got into a relaxed groove within minutes” recalls Jason. I agree – even though we hadn’t worked together, the vibe was relaxed immediately and Miller created a creative dynamic quickly. “Good photography to me is sometimes not only about the photographer, but it’s about the photographer/subject collaboration” said Mobley. “We cranked some music in the studio and basically played off of each other. I knew that the images were going to be comped into the final key art, so we lit the images in a way that would be easy for the retoucher to assemble in post-production.” The great thing was that for the key art concept, we would have Jason in a fairly straightforward pose, in a room filled with hidden images of faces – a puzzle that demonstrates the illusions so popular in the show. We couldn’t get too artsy with that setup, since the concept needed to read clearly and not be too dramatic. So the lighting was more high-key, creating less shadows. 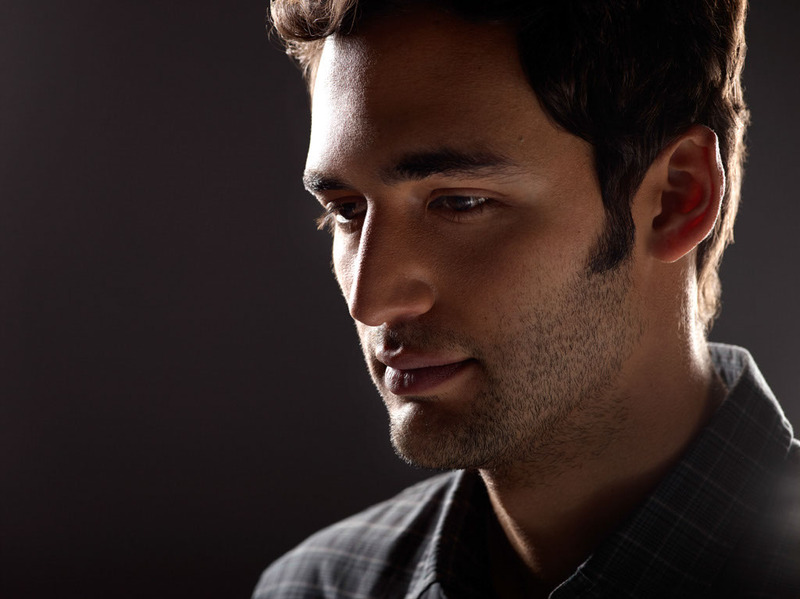 Main key art with Jason Silva, photo by Miller Mobley. Art by Brand New School. 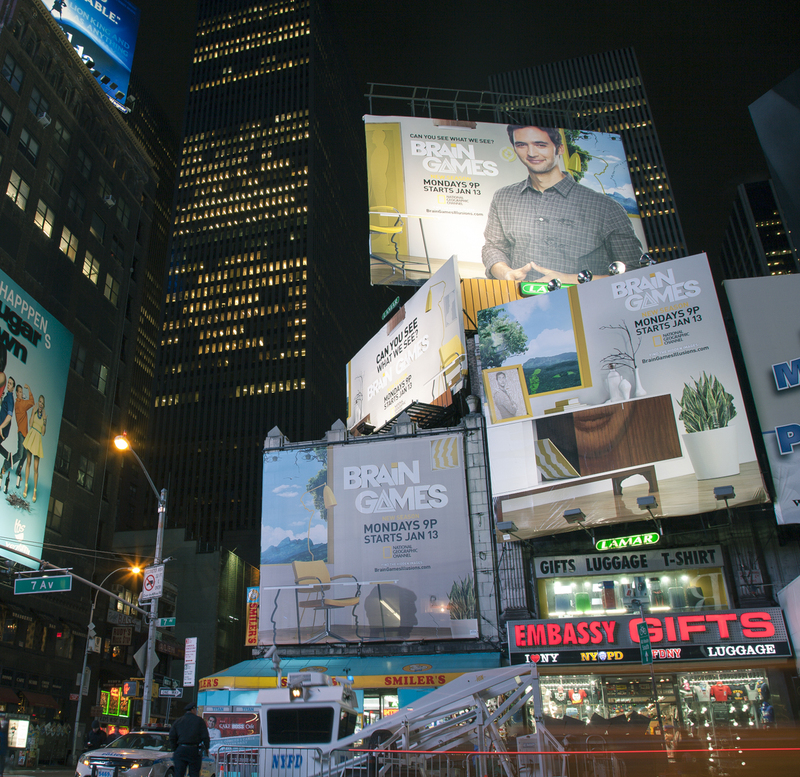 Times Square Billboards, photos by Miller Mobley. TIME TO GET ALL ARTSY. Jason Silva, shot by Miller Mobley. Photo by – yep, you guessed it. Miller Mobley. 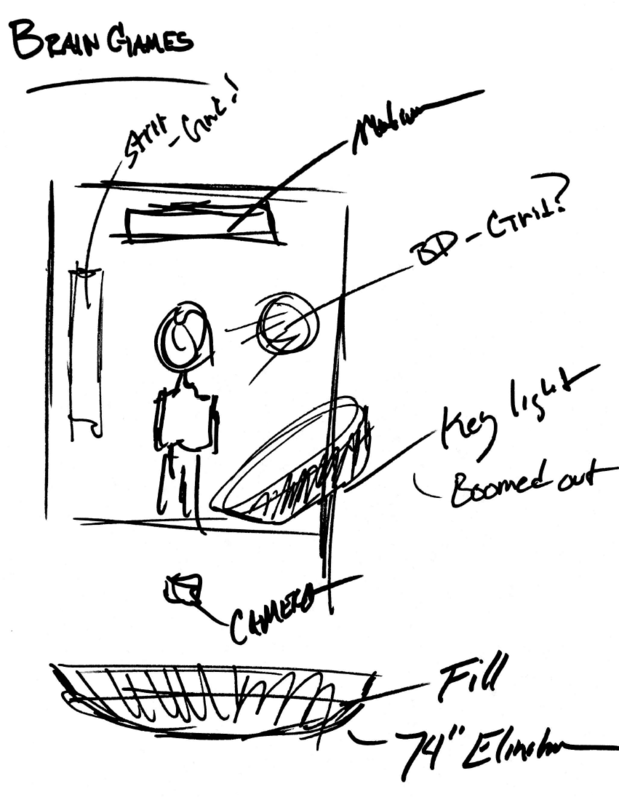 I’ve discussed the concept of doing something cool within a campaign just, well, because. 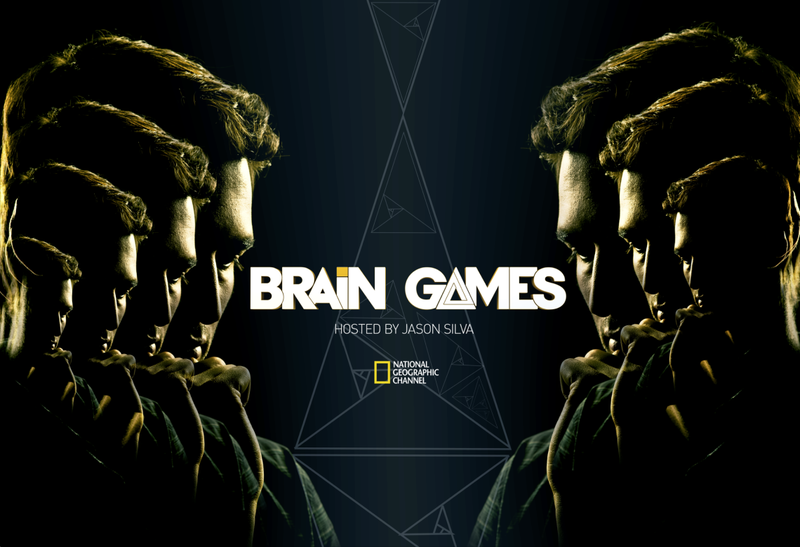 Brain Games was no different, and when Brian came to me and wanted to try to do something with some design integrated into Miller’s photos, it was a no-brainer. Brian worked on these with Greg Herman, and they had fun playing with the images and adding some additional design and photography to the shots to demonstrate the idea of how the show is filled with illusions, puzzles and mind-blowing imagery. Here are a few of the results. Design by Brian Everett and Greg Herman. Photo of you-know-who, shot by you-know-who. Amazing post, and a great perspective, particularly for production companies to take. I’ve seen many scenarios where a client would have loved to hear that their production company had a talented photographer who they had a history of working with, and a portfolio to show for it. Not having this capability could equate to leaving money on the table, or even worse, being overlooked in favor of a company with broader capabilities. Thanks Jacob. Whenever the pro co can let the client know upfront that they have photo ‘services’ that’s great – and they can decide if they want to hire them for that part of the job or not. Most clients prefer bundling things when possible, so if the work is good, it’s a no-brainer to hire one group for everything. Another great post. I particularly enjoyed the contributions from Miller in regards to how he thinks about his use of light. Also, I love that he can adapt to the needs and desires of the client–having enough versatility in your skills to shoot such drastically different styles is no small feat. Looking forward to your next post! Thanks Samuel! It was a fun shoot, and in this case having time PLUS a loose deliverable list allowed us that rare opportunity to play and look for creative opportunities. Doesn’t happen all that often!